When Should You Start Paying Off Your Mortgage Early? 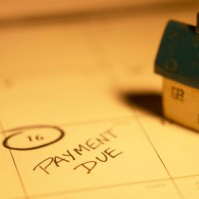 Home / Debt / When Should You Start Paying Off Your Mortgage Early? Paying off the home mortgage is a major goal for a lot of people. Once the mortgage is paid and the home is owned free and clear, all kinds of possibilities open up in both finances and in lifestyle. The largest expense in the household budget is gone, there’s more money for everything else and retirement is closer than ever. With all the benefits it has, it would seem that paying off your mortgage as soon as possible should be a high priority. And that would be the case if there weren’t other financial goals that you might want to accomplish first. Paying off your mortgage early has tremendous benefits, no doubt about it. But for a few reasons, it doesn’t need to be a top priority. Since mortgages have definite terms, even if you didn’t try to pay it off early, it would still go away. It may take 15 or 30 years depending on your term, but as long as you make your payments faithfully and don’t extend the term on refinance, it will disappear. If your mortgage is a fixed-rate loan, there’s no risk of the payment increasing. Since mortgage interest is tax-deductible, the effects of the payments are reduced. Paying down a mortgage provides no immediate benefit; the loan payment will remain fixed until the loan is paid in full no matter how much you pay it down along the way. For these reasons, you might want to look at some other priorities first. You shouldn’t even consider paying off your mortgage early unless you have a well-stocked emergency fund. It isn’t just that you’ll need to have the cash in the event of near-term emergencies, but it’s also because having such an account will make it easier to begin accelerating the payoff of your mortgage. No matter how sound your plan is to pay off your mortgage, financial challenges will arise while you’re trying to make that plan a reality. A solid emergency fund will make that more doable by easing some of the financial stresses that you’ll encounter along the way. Paying off your mortgage early is an outstanding retirement strategy. You’ll eliminate your largest single expense and free up your home in the event you want to sell it in exchange for a more suitable home for retirement, or just to have extra capital for retirement investing. But nothing can replace a well-funded retirement plan when it comes to retirement planning. It’s the foundation of all retirement planning, and needs to be a priority. One of the reasons it has to be a priority ahead of paying off your mortgage is that time matters heavily in retirement investing. The earlier you can begin investing, and the more you invest early on, the better off you will be. It’s all about the time value of money, and you have to get that working in your favor. Before beginning to accelerate paying off your mortgage, be sure you have your retirement plan (or plans) well underway. In addition you’ll need to be able to balance both continued retirement plan contributions along with your additional mortgage payments. This one could go either way. Much like retirement planning, you’ll want to begin funding your children’s college education early to take advantage of the time value of money. On the other hand, if you plan to free up the equity in your home as a means of paying for your children’s college, then paying off the mortgage would get the nod. It makes little sense to pay off a long-term debt like a home mortgage when you have substantial unsecured loans, like credit cards and student loans. Credit cards have the additional risk of having variable interest rates. Since the potential for those rates to go substantially higher is real, you should pay those off before taking on a more stable debt like a mortgage. Student loans are usually substantial, even if rates are lower than they are for credit cards. One of the reasons you want to pay these off ahead of a mortgage is that if you encounter financial difficulties, you can usually sell your home to pay off the mortgage on it. With student loans, there’s nothing that can be sold to pay them off. The other issue with student loans is that if you have children and you plan for them to attend college, you certainly should want to pay off your own student debts well before they begin attending college and are in need of funds for the same purpose. Auto loans are less of an issue. They’re secured, generally for shorter terms (five years or less), carry fixed rates, and are a way of spreading the cost of an expensive asset over several years. Paying off your mortgage ahead of these will be a greater benefit. Always remember as well, that any loans you pay off will free up more of your income to use to pay off your mortgage. That fact alone should give paying off non-mortgage debt a priority. It’s not that paying off your mortgage early isn’t important, but rather that some other financial goals might be even more so. In addition, prioritizing some other goals can also make the early pay off of your mortgage so much easier. What do you think of setting other financial goals ahead of paying off your mortgage? Would you change any of these priorities? This article was originally published October 19, 2012. 7 Responses to When Should You Start Paying Off Your Mortgage Early? I don’t think we will ever pay off our mortgage early. It just doesn’t make sense with a 3.49% fixed 30-year loan. I’m thinking when you know the end of a W2 paycheck is near. Whatcha think? Yup. You can’t go to the local grocery store and offer them a one-night stay in your guest room in exchange for a chicken burrito. On the other hand, maybe he means you should pay off a lot of it while you still have an income to deduct the interest expense from? Potentially in anticipation of low tax liability years like when you go back to school or retire?